It’s my favorite Disney ride…. …to watch! The best thing about these Mad Tea Party Salt and Pepper Shakers is that nobody has to get nauseated while they’re in use! I love these S&P Shakers for their color and whimsy and the fact that I don’t have to swirl around in them! How about you? 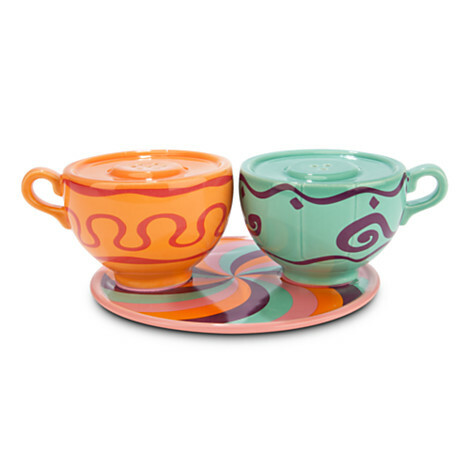 Are the Tea Cups a must-do or a must-pass for you and your family? Save 25% off now with code PARK25. Now until Sunday, October 4.